Compared to other things, Aikido is probably relatively unaffected by the internet, but if there is one area where new possibilities have opened up for Aikido, it is the ability to share video footage, primarily on that well known source of pleasures, pains, and futile arguments-Youtube. There are many pros and cons of uploading videos of any kind to Youtube, let alone videos of Aikido. What I intend to do is examine the many ups and downs, points for and points against Aikido videos on the internet. Let’s get the most overwhelmingly positive point out of the way first; Youtube has made it possible for Aikidoka all across the globe to access hundreds of fantastic videos of some of the greatest teachers the art has known. At the touch of a button you can watch pre-war footage of O-sensei, you can see Saito sensei demonstrating all manner of different Suburi, and Tohei sensei fending off a swarm of ukes. You can also see footage of the All Japan Embukai demonstrations which the vast majority of Aikido students will not get the opportunity to see otherwise. So for an Aikido student who wants to get a glimpse of their art’s history, Youtube is indeed an excellent resource. Of course these videos only make up a certain portion of the Aikido presence on Youtube. There are of course many more user-made videos which all garner varying degrees of praise or insult. These videos range from teachers giving instruction on how to apply certain techniques, to relatively new students who want to either show the world their new found skills or get some feedback on their techniques, to people who haven’t the first idea about Aikido, but want to produce a spoof martial arts video simply for the fun of it. Whilst many of these videos are beneficial and worthy of praise, it is fair to say that they simply don’t command as much respect from viewers as the videos of the old masters and it is in this area; the ability to comment, where the downside of video sharing rear its ugly head. If you look around at the aforementioned videos of the Aikido greats, you will find that the vast majority of comments are positive, and those that are critical are almost always of a constructive and intelligent nature. It’s debatable whether these comments come from a genuine respect or a desire not to appear ignorant; I like to think the former. In any case, you will rarely find someone spouting nonsensical hate on a video of Morihiro Saito sensei. However, many of the user-made videos and clips of lesser known instructors I mentioned earlier tend to garner a lot more criticism. In fact criticism is probably far too charitable a term; rage-fuelled hate is probably a more accurate description. Some of the users who post these comments seem to have an almost crusader-like passion, bordering on blindly zealous. Many of them start off referring to a specific criticism of a video, but sooner or later most of them deteriorate into obscenely personal insults with absolutely nothing to do with the video in question. I considered putting examples of such comments in this article, but I doubt whether the editorial staff at Aikido Journal would allow them to be published (and I don’t blame them either!). No matter though as I assume that most people reading this, seeing as you are probably an Aikido enthusiast and are obviously using the internet, have probably seen some Aikido clips on Youtube and therefore will have a pretty good idea of the comments I’m describing. 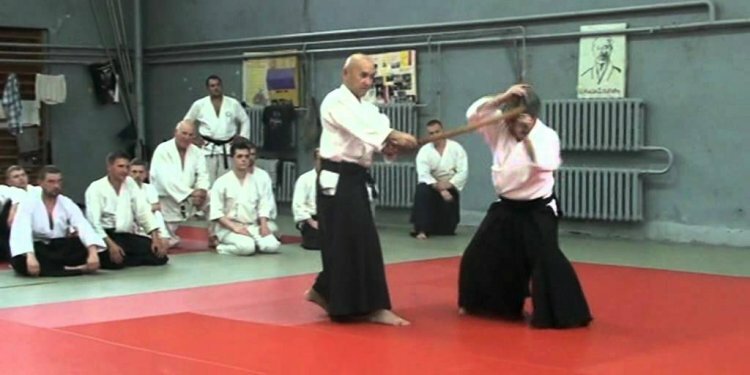 Some people even say that instructional video clips are in themselves, a bad thing as they render a disservice to Aikido dojos and to the teachers who teach in person. I have to say I disagree with this point of view as I think the vast majority of people who watch these instructional clips are well aware that they are not intended as a substitute to personal instruction, but are merely additional aids to training. Besides that is another discussion for another time.